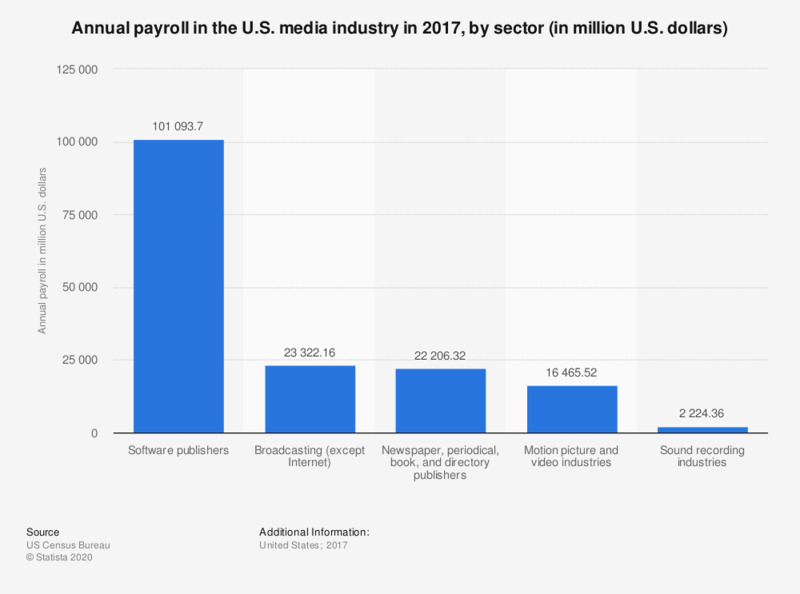 This statistic provides data on annual payroll in the U.S. media industry in 2016, by sector. The combined payroll of the sound recording industry was almost two billion U.S. dollars. Payroll includes all forms of compensation such as salaries, wages, commissions, dismissal pay, bonuses, vacation allowances, sick-leave pay, and employee contributions to qualified pension plans paid during the year to all employees. Payroll is reported before deductions for social security, income tax, insurance, union dues, etc. br>Figures have been rounded. Do you think that French media are more or less independent than five years ago? Do you know the name of the organization monitoring audiovisual media in your country? How trustworthy do you consider news items from commercial broadcasters?